The list of 10 nominees for the 2014 Poker Hall of Fame was announced by the World Series of Poker on Tuesday. 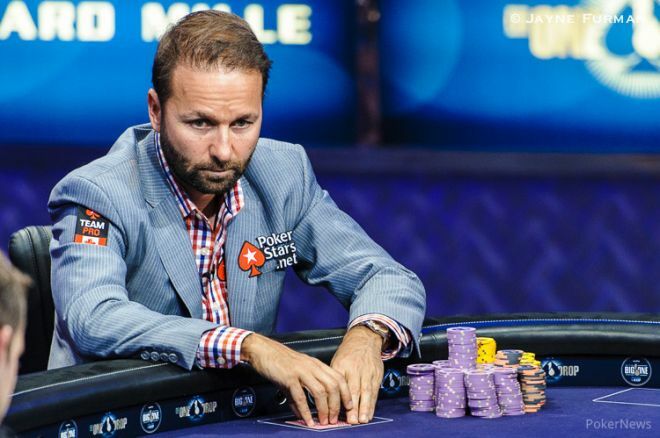 The finalists, which were nominated by the public for the sixth straight year, include five returning candidates and five first-timers, with our Canadian superstar Daniel Negreanu leading the group of newcomers in his first year of eligibility. Frenchman Bruno Fitoussi is also a first-time nominee, as are 1975 WSOP Main Event runner-up Bob Hooks, six-time WSOP gold bracelet winner Ted Forrest, and respected tournament director Jack McClelland. The five returning nominees are Jennifer Harman, Humberto Brenes, Mike Matusow, Chris Bjorin, and Huck Seed. Up to two of the aforementioned nominees will join an elite list of Hall of Famers like Johnny Moss, Doyle Brunson, Benny Binion, David “Chip” Reese, Thomas Austin “Amarillo Slim” Preston, Stu Ungar, and Phil Hellmuth. Last year, Scotty Nguyen and Tom McEvoy were added to the prestigious club. The 2014 Poker Hall of Fame class will be inducted as part of the WSOP Main Event final table festivities at the Rio All-Suite Hotel & Casino in Las Vegas during a special ceremony on Sunday, November 9.